• Prayer Points for Prayerwalking. Prayer points and accompanying Scriptures to help you pray strategically while prayerwalking. • Prayerwalk Guide Card. This document can be downloaded, copied on both sides and cut into quarters to make pocket-sized prayer guides to carry on a prayerwalk. Also available in Español and Português. • Prayerwalk Training Guide. A brief introduction to the purpose and logistics of prayerwalking. Perfect for someone who isn’t familiar with the concept. NAMB. • Una guÍa para Caminatas de Oración. South Carolina Baptist Convention. • 40/40 Prayer Guide. 40 days of praying for spiritual revival and national renewal. ERLC and NAMB. • Awaken. A 21-day prayer guide and journal to pray for a revival of God’s presence and work in your life and church. Claude V. King, Louisiana Baptist Convention. • Awaken: Prayer for Spiritual Awakening. A 30-day prayer guide. Chris Schofield, Baptist State Convention of North Carolina. • Guide for Repentance. Five days of Scripture, prayer points, and reflective questions. Greg Frizzell, Baptist General Convention of Oklahoma. • Names and Attributes of God. 30-day calendar format for praying the names and attributes of God. The Navigators. • The Daily Dozen. Twelve habits that should mark every believer’s life and prayers. Richard Shepherd, Florida Baptist Convention. • A Guide to Prayer and Fasting. Includes reasons for and logistics of fasting. John Harris, First Baptist Orlando. • How to Have a Quiet Time. Information and ideas for someone who is just getting started spending personal time with God. Baptist State Convention of North Carolina. • How to Spend a Day in Prayer. Step-by-step instructions for spending extended times in prayer. (This booklet was formatted for print, so don’t forget to pay close attention to the page numbers.) Rick Shepherd, Florida Baptist Convention. • I Will Pray. Scriptures to pray for your home, pastor, church, nation and the lost. Ted Elmore, Southern Baptists of Texas Convention. • Lighthouse of Prayer. Form a group to intentionally pray for, care about and share the Gospel with people in your community. NAMB. • Loving the Lost Prayer Guide. Follow the link and click on the Loving the Lost Prayer Guide to find the newest editions in English, Spanish and Korean. IMB. • Prayer and Fasting. Short lists of principles, practices and practical tips. Baptist State Convention of North Carolina. • Prayer and Spiritual Warfare. A 30-minute online video sermon by Chuck Lawless. • Prayer Inventories. 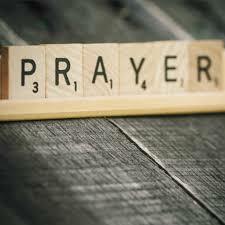 To help pastors determine personal and congregational prayer health. Kentucky Baptist Convention. • Prayer Prompts for Prayer Groups.Includes 18 ways to lead group prayer. Chris Schofield, Baptist State Convention of North Carolina. • Praying for Your School. Can be used by students, parents or teachers. Kevin Meador for Mississippi WMU. • Praying Through Scripture. An outline of how to get started by Don Whitney. • Praying Your Friends to Christ. This 52-page booklet is a free download from the Georgia Baptist Mission Board. • Strategies and Practices. Practical ideas from ten pastors. SBC of Virginia. • Ten Specific Prayers for Revival and Spiritual Awakening. Article adapted from A Powerful Prayer Life by Gregory Frizzell. • Two Pillars of a Prayer Meeting. Keep people focused on God and involved. SBC of Virginia.